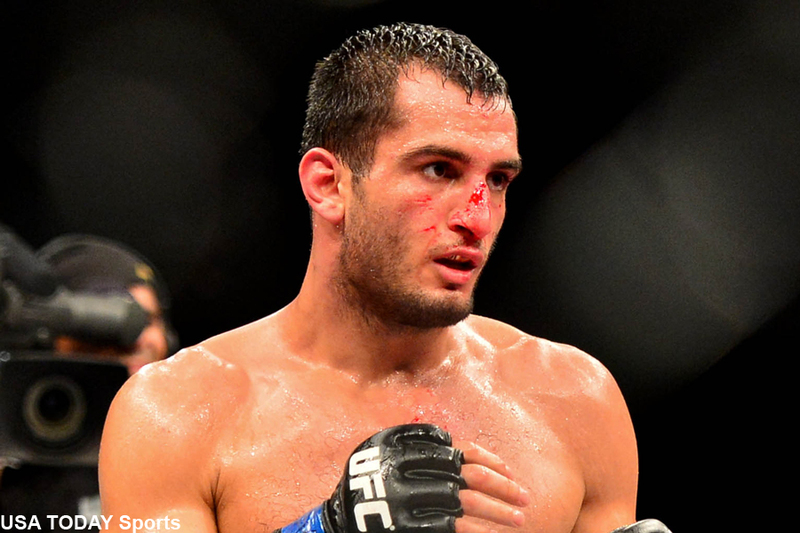 In the UFC, sometimes the squeaky wheel does in fact get the oil – just as Gegard Mousasi (pictured). Mousasi had been calling out fellow top tier middleweights for all the livelong day to no avail … until today. On Thursday, it was announced Mousasi will meet former champion Chris Weidman at UFC 210. KeyBank Center in Buffalo, New York hosts the festivities. Mousasi is victorious in six of his past seven outings, including four straight. His last three wins have come in TKO fashion. “The Dreamcatcher” was last seen in November avenging his upset loss to Uriah Hall. Weidman, meanwhile, is in desperate need of a W. After getting his hand raised through his first 13 professional fights en route to capturing the UFC middleweight crown, Weidman has dropped two consecutive bouts. “The All American” was knocked out cold in front of his native New Yorkers by Yoel Romero at UFC 205.